To read more about Cru on campus, see some of our previous articles. Faculty and staff members who attended open forums held by the Diversity Council took a firm stance against allowing Cru to become a registered student organization. Last week’s forums were part of a multi-step effort to understand the campus climate on President Grant Cornwell’s pending decision of changing the non-discrimination policy to allow the evangelical Christian organization to be recognized on campus. The consensus among those in attendance was clearly against changing the non-discrimination policy and the group showed growing frustration and impatience with Cornwell’s lack of a decision. Some professors choked back tears as they recalled personal instances of discrimination. One professor read a list of names from Florida’s LGBTQ community who have been murdered on the basis of their sexuality or identity. Many questioned the integrity of the college and the President for even allowing this conversation to take place. “The fact that we’re having this conversation right now is so offensive to me. It’s a slap in my face,” said Dr. Samuel Sanabria, associate professor of counseling. Sanabria is just one of approximately 40 faculty and staff members who attended the three forums. His comments stem from the fact that the Orlando-based Cru would not allow gay students to be campus leaders, which is a direct violation of the college’s non-discrimination policy. Students involved in Cru submitted an application to become a registered student organization last spring, but were denied because of the policy violation, which all campus organizations are required to uphold. From there, the students took their application to Cornwell in protest, claiming that the policy discriminates against their religious freedom. Cornwell has been contemplating the subject since last April and has stressed that a decision is not imminent as he seeks to hear the perspectives of all parties involved. Ultimately, his decision would be to either uphold the current policy or create a “carve out” within that would offer religious organizations an exemption. Concerns like Sanabria’s were echoed by other staff members in attendance. Cornwell declined to comment at this time because he said he must continue to listen to all points of view. The Diversity Council will send an anonymous survey to the rest of the faculty and staff this week to hear the opinions of those who could not attend or may not have felt comfortable speaking publicly on the matter. These comments will be used by the Council to put together a list of common themes and concerns in a report for Cornwell, which is part of the group’s overall effort to give an informed recommendation to Cornwell on their stance. Maridath Wilson, co-chair of the Diversity Council, said she is unsure of the timeline when the recommendation will be put together. She also said she was not comfortable disclosing the Council’s current stance on the matter. Wilson said the Council has not talked to any students or members of Cru and was not sure whether it would. As an all-faculty and staff council, its obligations are to report on the concerns of the faculty and staff; therefore, the Council said it is not obligated to talk with students. The question of hosting forums for students was brought up, but Diversity Council members said they would not feel comfortable asking students to defend their personal identities publicly. “For LGBTQ+ members of our community at Rollins, this is not a philosophical issue or debate. This is about our existence and emotional and physical safety. It’s about being treated—or not treated—as full human beings,” said Lisa Tillmann, professor and chair of Critical Media and Cultural Studies. 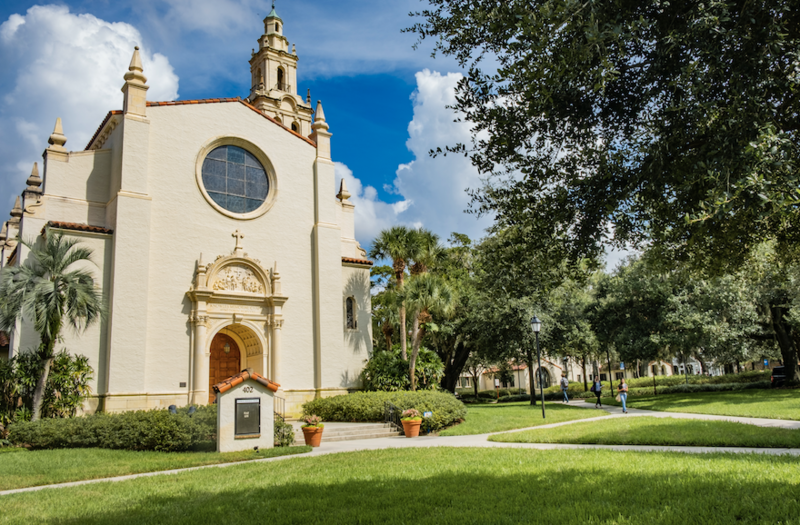 Tillmann, who has now been at Rollins for nearly 20 years, reflected on the fact that the college’s non-discrimination policy was a core reason she applied for a position at Rollins in the first place. “One of the leading factors to sending in my application was reading the non-discrimination policy and seeing that it was inclusive of sexual orientation,” she said. Tillmann wrote her PhD dissertation about a network of gay male friends, who she said became her closest friends. She said that at the time, there were no national or state-wide non-discrimination protections. “Rollins’ policy showed that this college was a pocket of forward thinking,” she said. “I think it’s possible that some students, staff and faculty would pursue other options. I very nearly didn’t apply to Rollins. I thought I’d spend my career at a state school, somewhere more racially and economically diverse. I don’t think I would have applied for this job if not for the non-discrimination policy,” she said.